There is a trend originating in Scandinavia that is enjoying rapidly growing popularity: Nordic Ice-skating. This sport combines skating with cross-country skiing and has long been a popular sport in Finland. All you need are special skate blades with cross-country bindings or special touring skates with a binding for normal boots and skating sticks. The fascination of cross-country skating is that you can practice it on frozen lakes as well as in ski resorts on cleared tracks and on the ice of frozen rivers. 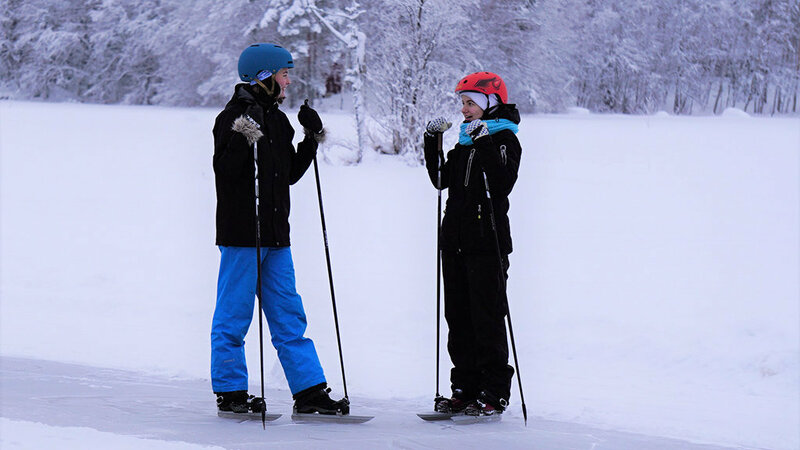 As with cross-country skiing, even with little practice you can enjoy the beauty of nature, strengthen your cardiovascular system and train your endurance. Rock and Lake rents tour skates, which are suitable with supportive footwear or hiking boots. The tour skates are fitted with blades that are approximately 50 cm long, thin and which slide easily. The blades are not sensitive to unevenness. The ice skating trail is constantly maintained but the natural ice moves from time to time. 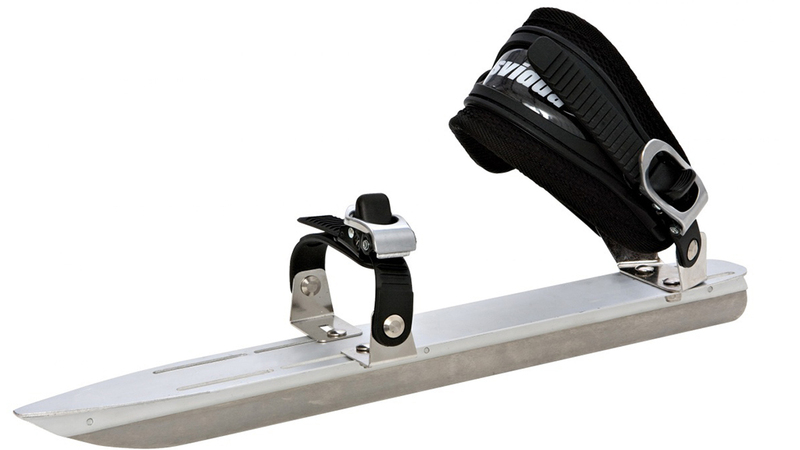 For this reason, the tour skates are well suited for skating on the lake. Skates with length of 45cm are suitable for shoes up to 41 and skates with length of 50cm are suitable for shoes from 41 upwards. In addition to the skates, the package includes a helmet. Poles for skating are also available. We suggest taking some snacks and warm clothes to the skating tour to avoid getting hungry and cold when taking a break. There is a campfire with firewood and a toilet along the skating trail. Price: 15 € / day. Choose the quantity and then the date. For requests of a customized offer or a longer renting period please contact the Rock and Lake sales via phone +358 50 566 0905 or send an email to sales@rockandlake.com.